The facelifted offering is a renamed Holden. It rocks a ventilated hood with pitch black air vents and a new front fascia. The vehicle also received pitch-black mirrors. It rides on 20-inch 5-spoke alloys. The revised colour scheme introduces vibrant blue (Slipstream) and metallic red (Some Like it Hot) colours. The cabin was almost completely carried over. However, the next year’s offering is fitted with some additory regular equipment. It includes an upgraded infotainment set-up with Bluetooth connectivity. There also is GPS navigation. The equipment also spreads on an Enhanced Driver Interface and Onyx leather seats. You will find bigger changes under the vehicle’s hood. The LS3 eight-cylinder motor has left the car and now it rocks a new 6.2-litre supercharged LSA eight-cylinder. The new unit is able to output 528 hp (or 394 kW) and torque of 495 lb-ft (or 671 Nm). That makes a 103 hp (or 77 kW) and 74 lb-ft (or 101 Nm) increase. The extra power makes the model sprint form 0-62 mph (or 0-100 km/h) in just 4.6 seconds. Its electronically-caped top speed stands at 155 mph (or 250 km/h). There were new dampers and springs installed. They are supposed to decrease body-roll and increase handling. The Maloo VXR8 received a Launch Control set-up on cars having manual transmission and a regular limited slip differential. 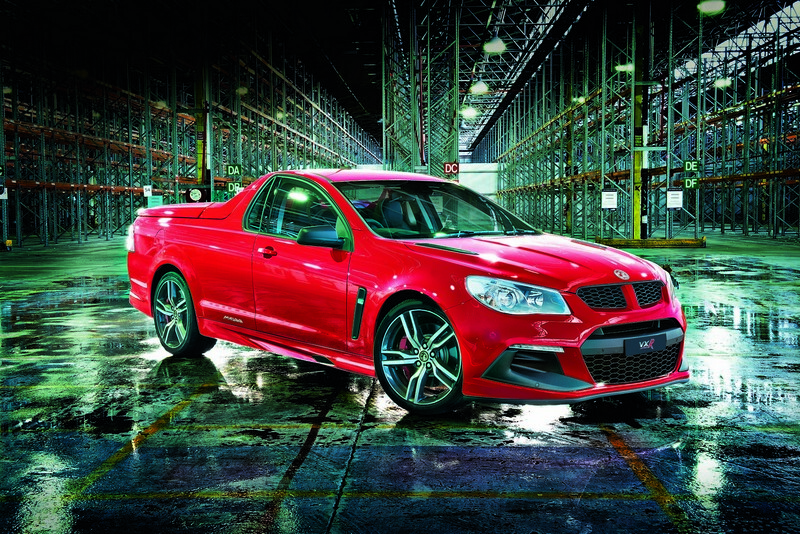 The next year’s Maloo VXR8 will cost starting from £54,500. This is a little bit cheaper than the VXR8 sedan.